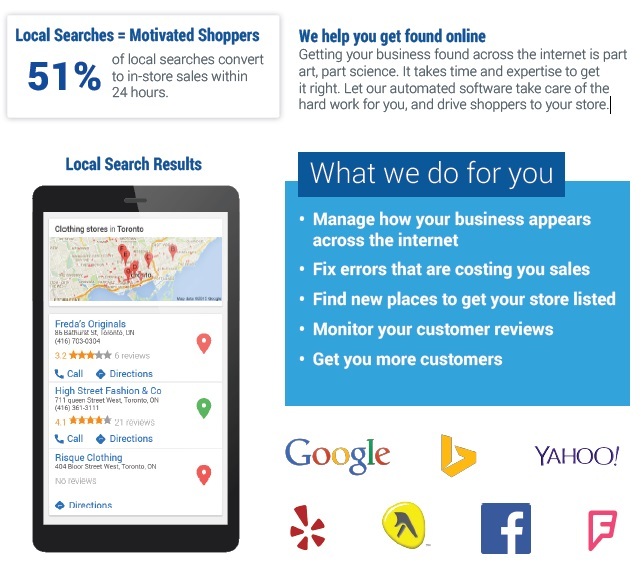 Here’s How to Get Your Business on the Map Results of Google, etc. Getting your business found across the internet is part art, part science. It takes time and expertise to get it right. Let our automated software take care of the hard work for you, and drive shoppers to your store. Modern consumers start their shopping experience on search engines and listing sites. The results they get from those sites determine where they spend their money. If you don’t appear in the local search results, that sale goes to your competitor. Every error in your business information across the internet reduces your chances of showing up when potential customers search online. Finding all your errors on your own is impossible. With us, it’s a single click. We make sure that every one of your listings is correct, so you never miss out on a sale. Our service is a great alternative to a service like YEXT. YEXT is popular because it works to claim and correct inaccuracies in your business’ online directory portfolio, however, they do not actually “fix” anything, rather YEXT is a cloaking device that overrides directory information and once you stop paying them, the results eventually revert back to the old, inaccurate listing descriptions. It’s actually a pretty good racket they’ve got going on over there at YEXT, but it’s not fair to small business owners. 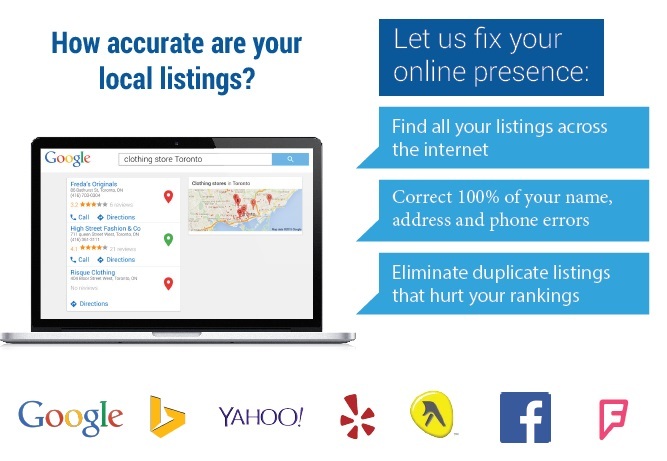 Our service is different, because we actually FIX your business’ listings. For good. After 3-5 months, you might not even need our service anymore. We offer a lot of other bells and whistles that add value to our local search marketing package which makes it attractive for you to keep using the service such as managing/monitoring your online reviews, tracking keyword clicks to local listing and tracking constant new directory accuracy as your site’s popularity and credibility grows, however, one thing we don’t believe in doing is holding you hostage. If you simply need your directories fixed, hop on board, let us fix them and once it’s done you can drop the service and rest assured the changes will stay accurate. Or, if you’re more interested in prolonged map-pack rankings for your business on Google and Bing, stay on board and reap those benefits for only $69/mo. Getting your business listed across the internet is the best way to attract new customers and increase your revenue. No matter what you are selling, potential customers are looking for it online, in your area. Are they finding your stores? Download our info PDF for more information about how our platform allows you to monitor your online reviews and get notifications anytime someone leaves you a review below 2.5 stars, and more. 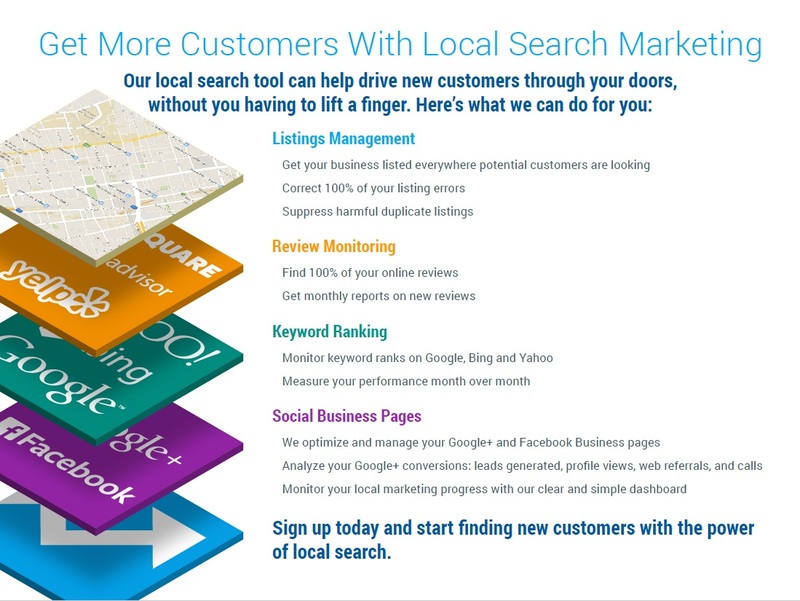 Contact CCM today for more information and get your business optimized on local search now. Call 757-858-2020 or fill out the quick contact form below. CCM is a local SEO company located in Norfolk, VA in the Hampton Roads region of Virginia but manages local search marketing for clients all over the U.S.